We are a couple of amateur Vanagon enthusiasts who bought a Vanagon and started messing around. 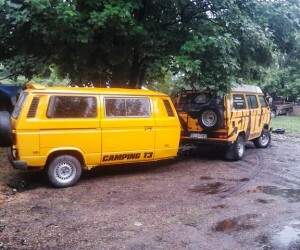 Having never owned a Vanagon before, there was a lot to learn. We started poking around and have learned a lot in the process. This site started as a way to catalog our efforts. 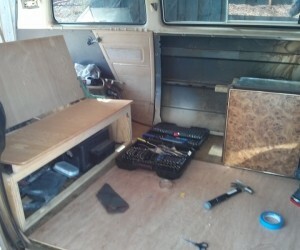 The first step in our process was to clean the van, then swap out old parts. Every bulb, belt, wiper blade, carpet, engine, and transmission has been changed. We decided to keep the stock look so the only thing left to do is paint. In the meantime, we’re moving to the hacks. What’s a hack? 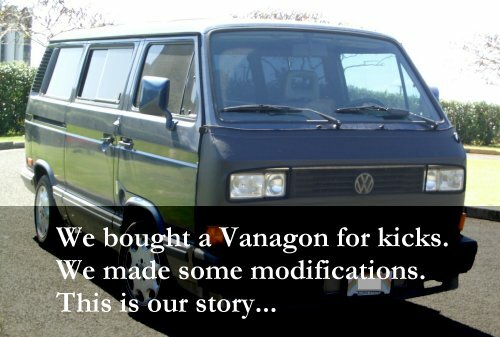 It’s a modification that makes Vanagon life more enjoyable. We have cataloged our hacks here.